Hi Friends! Kristina here from LiveLoveLaughScrap I have a quick and simple mostly digital Valentines Day card for you today using Hero Arts Words of Love digital. Sometimes time just gets away from you and you need a quick and easy card to send out it in a jiffy, and this is it! Easily mass produced and ready to embellish > send. The digital kit comes with both brushes and image files. I choose the brushes and created an Ombre background with the little candy hearts. I started with a pinky color and just slid down the color wheel, darker on each line. To finish, I used another one of the brush files for my sentiment. Printed this baby off, trimmed it down, and embellished with some sequins! Find these and other Hero Arts Digital Stamps in the a2z scrapbooking store AND enjoy 15% off your purchase of $25 or more using my discount code KRISTINA15 – Also, be sure to enter into our monthly challenge for your chance at a $25 gift card!! This month, is all things Red!! Any Shade of Red! Categories: Digital, Valentine | Tags: Kristina, Ombre, shades of red, valentines | Permalink. 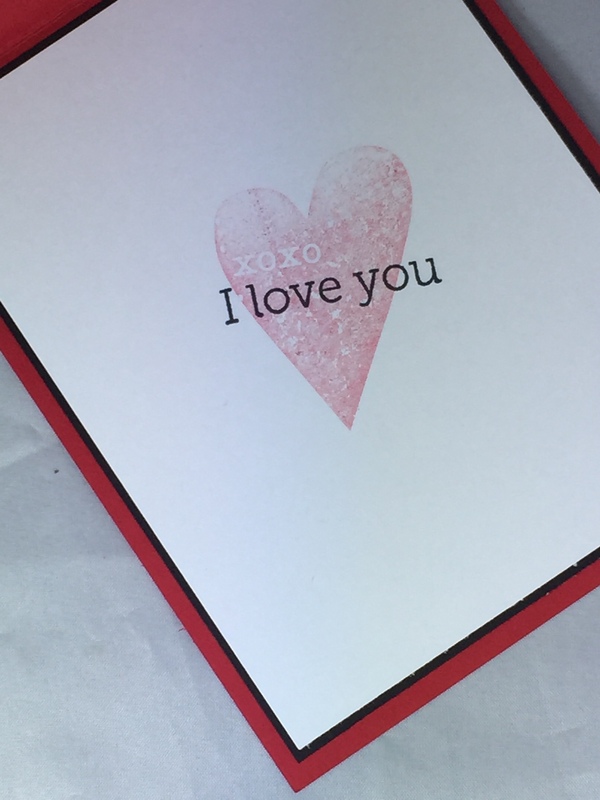 One more Valentine before the big day tomorrow – just in case you need a quick idea for a last minute card! The theme for this month at a2z is “emboss it” so make a card to enter using this inspiration! You could win a $25 gift certifcate! To create my card I first die cut the heart from Spellbinders Classic Heart die. On a scrap of white stamped the HA leafy vine in Versamark and embossed with HA white embossing powder. Rubbed HA red royal shadow ink over the embossing and used a baby wipe to remove some of the ink from the embossed parts. That piece went behind the open heart. Mounted that on HA carnation layering paper and then onto the card base which is Neenah astroparche. Embossed the sentiment on a piece of vellum in Ranger liquid platinum and adhered with some Aleene’s clear gel glue – I just put little dots of it behind the letters and it holds really well and doesn’t show – this is my favorite way for adhering vellum. Also like this glue because it never clogs – ever ever! Added a few HA clear gemstones (love these – the perfect little accent) and done and dusted!! Hope you’ll join our Embossing Challenge this month – and remember, you can use Coupon Code BETTY15 for 15% off your order of $25.00 or more (before tax and shipping) at the a2z store. a2z has just received the 2015 Hero Arts release so you can get your new “wants” right now at a discount!! Did you know that we are on Twitter, Instagram and Facebook?. Follow us on these different social media outlets so you won’t miss out on any fun promotions! Categories: Handmade Cards | Tags: clear gemstones, Hearts, Heat Embossing, valentines | Permalink. It’s Donna here, I am back with a2z Scrapbooking January’s Challenge, to use anything “new to you”. The item or items can be any Hero Arts product (Stencils, stamps, dies, embossing folders) to create a card with a product that is new to you! I am using another stamp set that I have had for a while, but had never used. It is called “Four Hearts”. These hearts are cling hearts and there are four different hearts. Love it!!!! The sentiment is from one of my oldies, but favor sentiment set from Hero Arts called “Year Round Sentiments”. I can’t wait to see your take on this challenge. This is the inside of the card. I used the heart from Hero Arts, “Untitled Hearts”. The sentiment is from the “Year Round Sentiments”. Are you ready to join in on the fun? Please come on over to a2z Scrapbooking and link your project to the blog. The link is on the right side top of the blog. Oh did I mention, by entering you will be entered to win a $25 Gift Certificate to the a2z Scrapbooking store. Winners will be announced on the 16th of February. Also, don’t forget if you’d like to buy any products from the store, use the discount code, Donna15 to get 15% off your purchase of $25.00 or more before tax and shipping. Can’t wait to see what you create. If you are on social media, #a2zScrapbooking or @a2zScrapbooking is on Instagram or Twitter so come follow us! 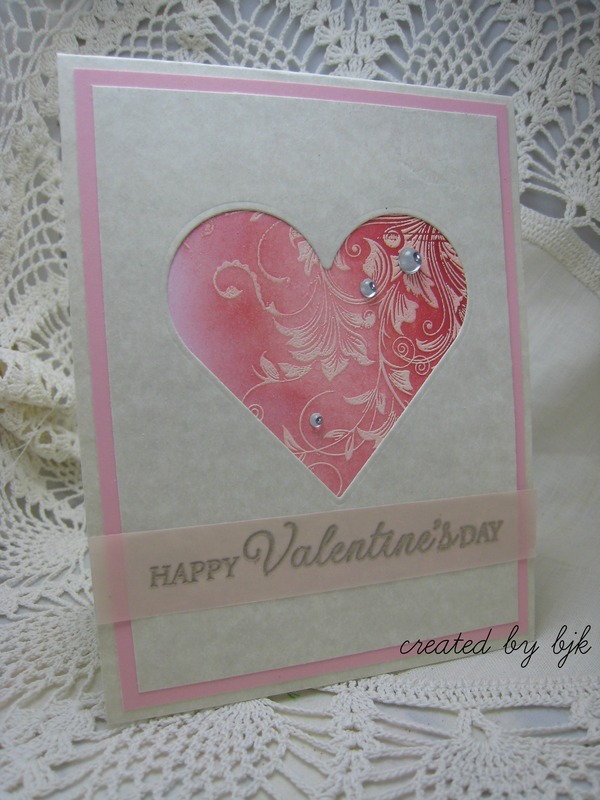 Categories: Challenges, Handmade Cards | Tags: die cuts, Hearts, stamps, valentines, xo's | Permalink.